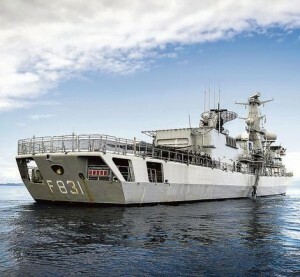 WILLEMSTAD - The navy ship Zr. Ms. Van Amstel has, in a short time, intercepted two drugs shipments totaling nearly 700 kilos of cocaine in the Caribbean. This was announced by the Ministry of Defense in the Netherlands on Tuesday. Van Amstel conducts anti-drug operations in the Caribbean. Recently the officers discovered two smuggling boats in quick succession, according to the ministry. The NH-90 helicopter was deployed and a team of the US Coast Guard used go-fast boats from the Van Amstel to board the drug boats. The crew were arrested and transferred to the US Coast Guard.